Reporting trip in June 2015 north of Nablus, West Bank. Reporting, filming, editing, photographing and designing, Christine has trained experience as a journalist in visual, print and online publications. 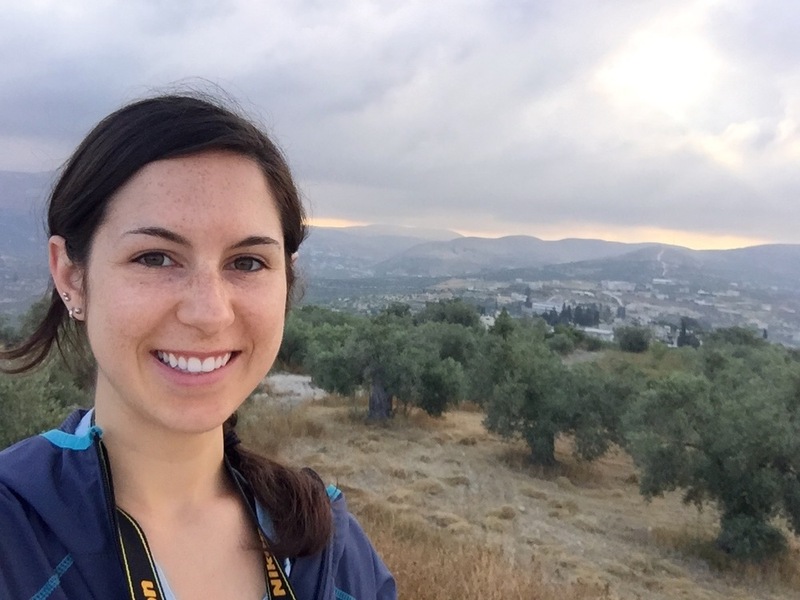 She has traveled to Eastern Europe, the West Bank, Cuba and Guatemala as a multimedia reporter writing about social challenges and conflict-affected communities. As a freelance journalist, she has focused her domestic reporting on local news, and spent two years covering politics, education and crime in the Wards 6, 7 and 8 communities in Washington, D.C. In 2016, she helped cover the presidential campaign through the Los Angeles Times Trail Guide blog. She currently helps design and implement the digital strategy for 17 daily and weekly local newspapers in Northern California, stretching from Eureka over to Chico and down to Monterey. Her role is digital editor for Northern California Community Newspapers. She also contracts with the Los Angeles Times for newsletter production from her home base in Woodland, Calif. When she’s not reporting, she’s teaching for Syracuse University’s Online Masters Program at the Newhouse School. Christine received her M.A. in Magazine, Newspaper and Online Journalism in 2015 from the S.I. Newhouse School of Public Communications at Syracuse University. In 2014, she received her B.A. in Communication and B.M. in Flute Performance at Washington State University. She is also a 2016 Journalism Fellow in the Fellowship at Auschwitz for the Study of Professional Ethics (FASPE). Find her articles in the Los Angeles Times, Chico Enterprise-Record, Capital Community News, Runner’s World, USA TODAY, Syracuse.com, TheNewsHouse.com, The Pacific Northwest Inlander, WSU Magazine, Editor & Publisher, The Spokesman, The Daily Evergreen, and City Living Seattle (now defunct). *Winner for 2015 AEJMC International Multimedia News Story Contest: video and print story here. *Winner for 2014 Columbia Scholastic Press Association Gold Circle Awards, personal opinion on-campus issues: editorial here. *Finalist for 2014 ACP Story of the Year, feature: story here. *Winner 2012 SPJ Region 10, in-depth reporting: story here.